The state of Connecticut hosts many species of spiders, most of which are harmless – with some dangerous exceptions. Common spiders include house spiders, jumping spiders, daddy long legs, wolf spiders and orb-weaver spiders. Venomous spiders include brown recluse spiders and black widow spiders. Connecticut houses numerous species of spiders. Most common household spiders pose little or no harm to humans, such as jumping spiders and daddy long legs. Two potentially dangerous venomous spiders include brown recluse spiders and black widow spiders. Numerous spider species reside in Connecticut. The common house spider enjoys living inside the homes of people, preferring attics and basements. They often make small webs in the corners of a home. 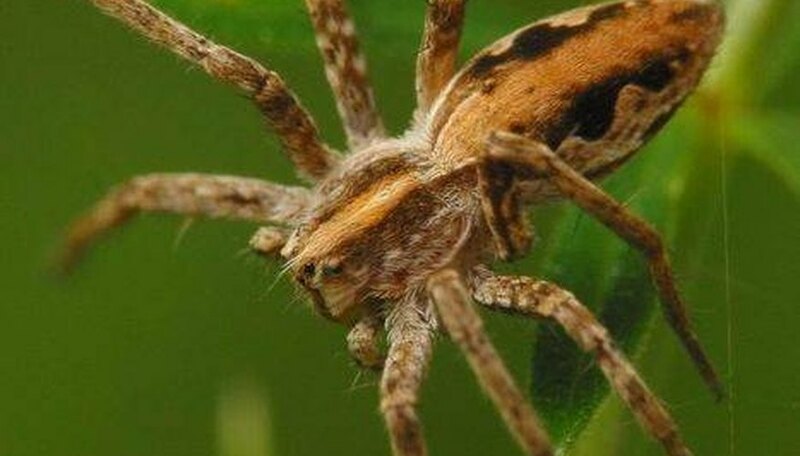 These spiders possess striped legs and dark brown bodies with paler designs. This is the most common indoor spider species in Connecticut. The nearly ubiquitous daddy long-legs spiders are prevalent outdoors. They reside around tree trunks. Aptly named, they possess extremely long legs in proportion to their bodies. The small jumping spider ranges from less than a half-inch long to even shorter. Jumping spiders possess stout, marked legs and furry bodies, and they enjoy sunny areas. As their name suggests, they jump from their threads to their prey. A striking spider, the marbled orb-weaver spider displays a vibrant, large abdomen with orange, brown, purple and yellow marks and spots. These orb-weaver spiders reside in wooded areas and near shrubbery and moist environments. They make vertical webs with a signal thread in the center to detect prey. 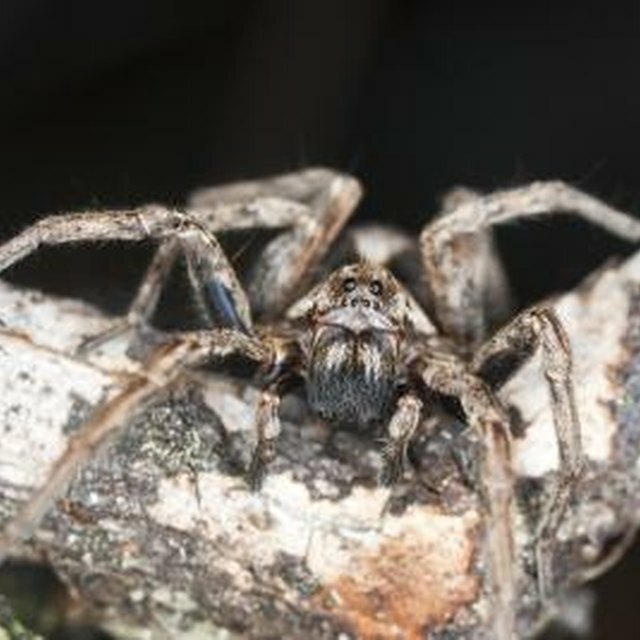 Wolf spiders, with their large, gray-brown hirsute bodies, might send a thrill through a person who finds one. These impressive spiders prefer doors and windows of homes or gardens. While most spiders in Connecticut pose no great harm to humans, two types can prove dangerous or even deadly. Black widow and brown recluse spiders contain toxic venom. Non-native brown recluse spiders live among wood or rock piles and under porches. They reach about a half-inch long and have long legs. Behind their eyes is a dark violin shape. These spiders are also called violin or fiddleback spiders. Brown recluses can range from brown to yellow. They are named recluse due to their skittish behavior. The bite of a brown recluse presents as small with local pain that increases over the next several hours. Eventually, the affected area grows, reddens and sometimes generates a blister that can ulcerate. Brown recluse bites may require antibiotics and may take months to heal completely. In some instances, people develop a systemwide reaction. Severe symptoms require medical treatment by a doctor. The infamous black widow spider lives in similar habitat as the brown recluse, preferring woodpiles and basements. Two black widow variants reside in Connecticut. The southern black widow is less common, being at the northern edge of its range. It prefers human structures. The northern black widow prefers woodlands. Black widows can reach about a half-inch in length. The vibrant red to orange hourglass shape on the female’s black body is instantly recognizable. The males have red and white markings on the sides of their bodies. The male’s bite does not pose a danger. Females bite in defense when their webs are disturbed. The female’s bite can lead rapidly to complications. A doctor or poison control center should be consulted, but the injured individual should remain calm to prevent increased venom flow. Within 20 to 40 minutes of a female black widow bite, pain spreads through the abdomen, back and limbs. Cramps and severe pain warrant a hospital visit. Anti-venom may or may not be required. Pregnant women, young children and elderly people face greater risk from a black widow’s bite. Dianne, J.. "How to Identify Spiders in Connecticut." Sciencing, https://sciencing.com/identify-spiders-connecticut-4579555.html. 09 May 2018.